Here’s a song I wrote its about a friend of mine an it’s called Percys Song. An I took the tune from a song that a folk singer by the name of Paul Clayton sings. Called the Wind And The Rain. I wanna sing one song here recognising that there are Goliath’s nowadays. An err people don’t realise just who the Goliath’s are but in older days Goliath was slayed and everybody looks back nowadays and sees how Goliath was. Nowadays there are crueler Goliath’s who do crueler crueler things but one day they gonna be slain too, An people 2,000 years from now can look back an say remember when Goliath the second was slain. (before When The Ship Comes In). 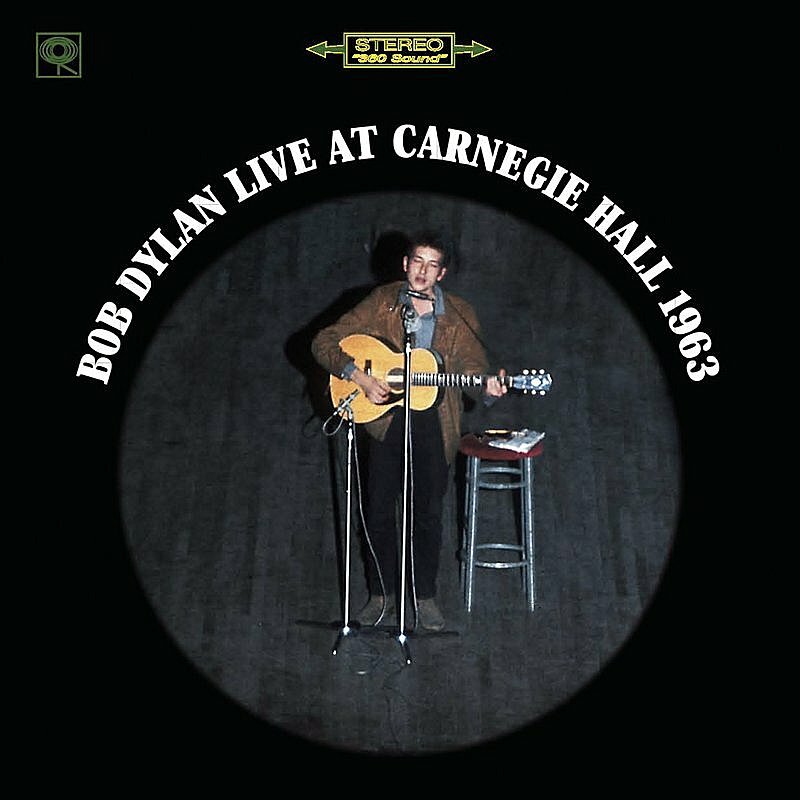 CBS Records documented Bob Dylan’s October 26, 1963, performance at New York City’s venerable Carnegie Hall for a proposed live LP provisionally titled In Concert, pressing acetates and even printing cardboard sleeves before abruptly scuttling the project for good. The assassination of John F. Kennedy altered most everyone’s plans, of course, and legend also proclaims that execs were flummoxed by the six-minute spoken narrative “Last Thoughts on Woody Guthrie,” one of several cuts added to the album from an April 12 gig at New York’s Town Hall. Bootlegs circulated for years, and in 1991 Columbia officially issued two cuts — the ripped-from-the-headlines “Who Killed Davey Moore?” and the infamous “Talkin’ John Birch Society Blues” — as part of the box set The Bootleg Series, Vols. 1-3. Finally, in conjunction with the 2005 release of Martin Scorsese’s documentary portrait No Direction Home, the label released this six-song promotional disc, beautifully packaged in the vein of the original In Concertcover but still frustratingly incomplete (not to mention unavailable via traditional retail channels). What’s left is an extraordinary record of the young Dylan at the apex of his craft, in transition from the protest anthems on which his early fame rests toward the deeply personal and hauntingly poetic songs that remain his greatest legacy. From a fiery rendition of “The Times They Are a-Changin'” to a jaw-droppingly beautiful “Boots of Spanish Leather,” this is music that transcends space and time. Until the Sony BMG brain trust wises up and releases the Carnegie Hall tapes in full, consumers are heartily recommended to seek out bootleg releases, in particular Wild Wolf’s 1997 release In Concert, which even boasts CBS’ original cover design for good measure. 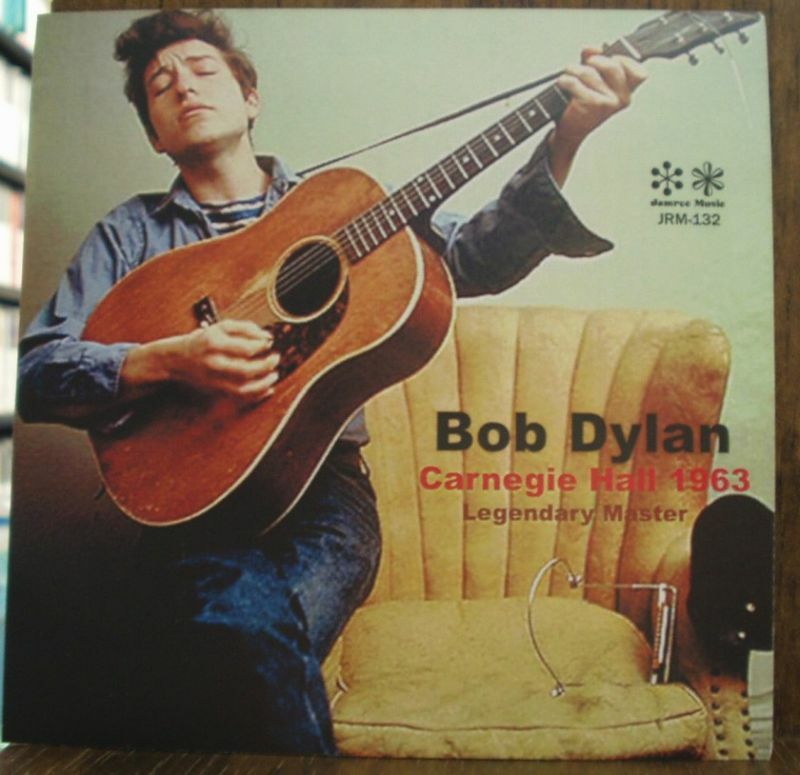 quite simply the finest concert from Dylans acoustic period in terms of consistancy of performance.Such a shame columbia released the 1964 Haloween show instead.That 1964 show which although has a certain charm and mixes older songs with forthcoming newer material, is marred by a sloppiness of being Dylan being a little worse for wear.The Carnegie Hall concert is totally different, with Dylan fully focused vocally and delivering many definitive versions of his early classics. Love to hear such stories. I will edit my post regarding Columbia’s then planned release.